The Mitsubishi Electric GE High Wall Heat Pump Series is the number one choice for New Zealand homes. 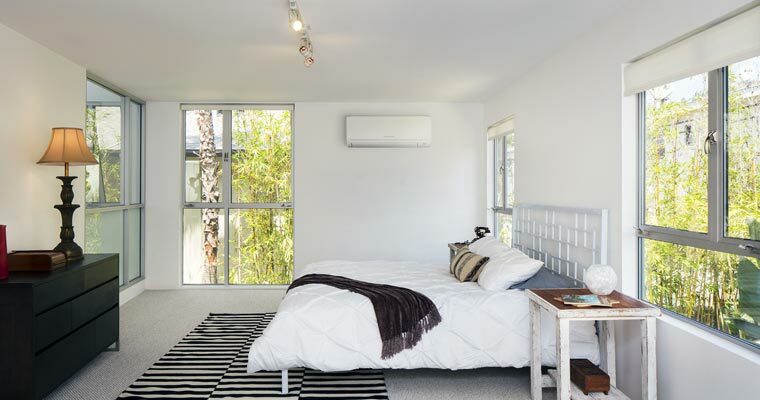 The quality and reliability of these High Wall Heat Pumps offers Kiwi families superior heating and cooling performance in living areas and bedrooms. The GE Series boasts the same unrivaled quietness and energy efficiency that Mitsubishi Electric heat pumps are known for. With its classic design ranging from small to large capacities, more and more homeowners are opting for GE High Wall Heat Pumps as their home heating solution. Enhancing their convenience, all of the models in the GE Series come with option to upgrade to Wi-Fi Control. With Wi-Fi Control you can operate your heat pump using your smart phone or tablet, anywhere, anytime. Warmth and comfort has never been more achievable. There are seven capacities to choose from within the Classic GE High Wall Heat Pump Series and Mitsubishi Electric’s whisper-quiet technology extends throughout the range. When set to a low fan speed, the GE Series models register at a sound of only 19dBA – incredibly quiet! This means users can enjoy the benefits of the heat pumps without compromising on peace and quiet. 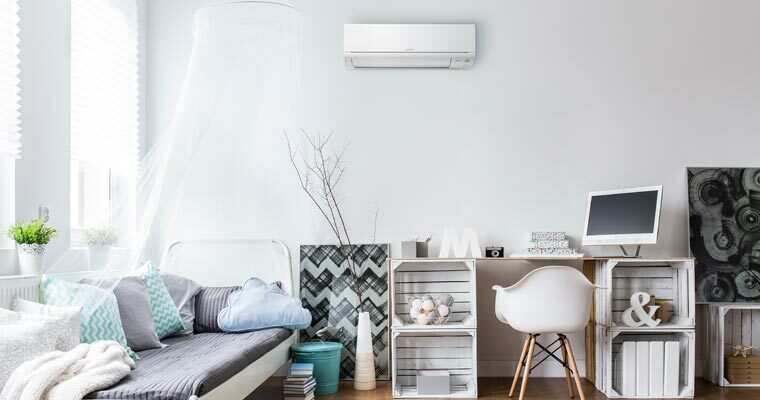 Even if you’re looking to install a heat pump in your bedroom, the models in the GE Series do not interfere with your ability to rest and relax. Quietness is one of the biggest considerations when choosing a heat pump. Mitsubishi Electric’s five-star rating for quiet performance makes them the leaders in whisper-quiet technology. This, along with their many other qualities, is the reason we choose to associate with this brand and this brand only. The Classic GE High Wall Heat Pumps have a huge range of features that make them the most popular heating choice for Kiwis. Contact us to find out how the models in the GE Series will work for you.